Saturday reaffirmed why I chose to study geology. I went on a field trip to Mt. Hood with my geo 318 class in order learn how to identify glacial deposits and see the glaciers themselves. It was a fantastic trip. It was my first time to visit the dormant volcano in the three and a half years that I’ve lived here. As I had tweeted earlier, I truly wasn’t prepared for the sweeping views of the valley beneath us. Nor was I prepared for the decreased amount of oxygen available at 6000 ft above sea level. However, I survived the altitude sickness with nothing worse than a slight head ache. Not bad for my first time at that altitude outside of an airplane. As was to be expected, the trip was a huge learning experience for me. When you’re taking a geology course, there is only so much the book can teach. The lectures and my text book gave me an idea of what a lateral and medial moraine looked like, but it wasn’t reinforced until I got onto the mountain and saw them first hand. 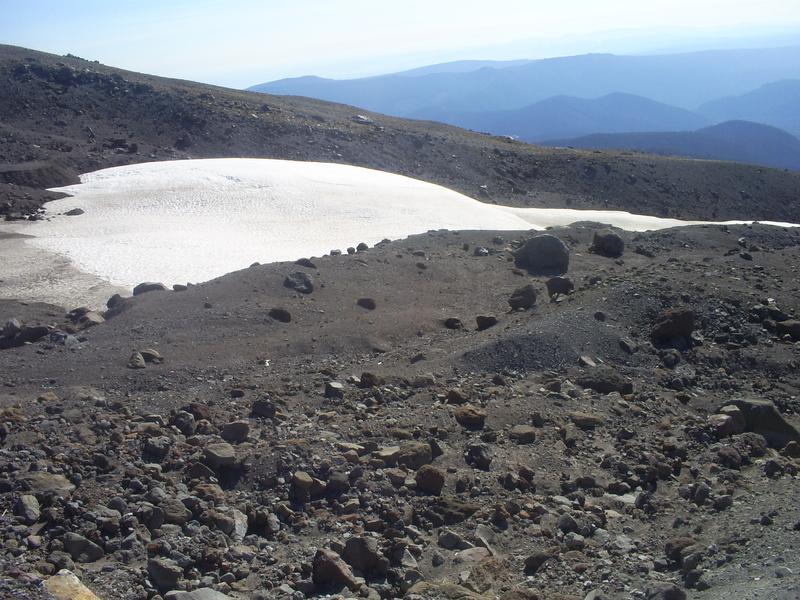 The same can be said for glacial till, the polished boulders, the U-shaped valleys down below and the glaciers themselves. You can be an arm chair geologists all you want, but nothing makes sense nor coalesces into reality until you’ve seen it and touched it. 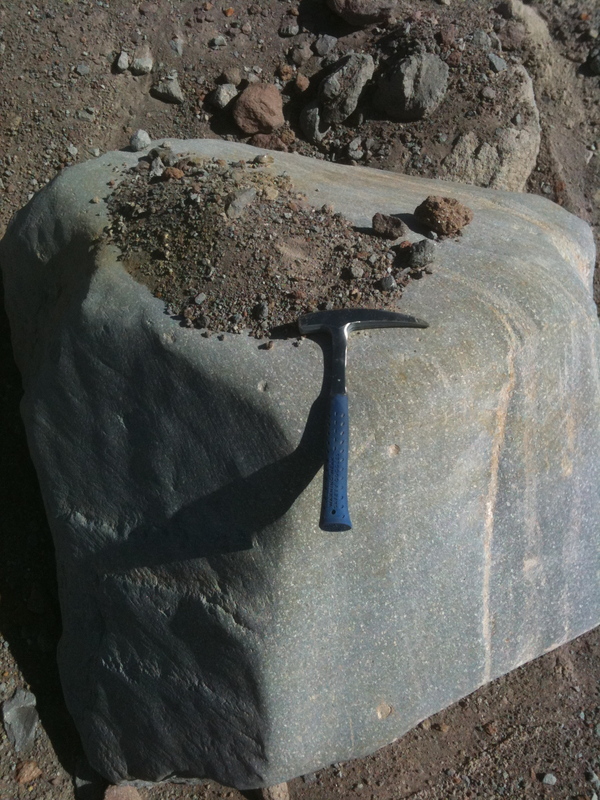 Glacial Till- My blog's namesake! Undoubtedly, the glaciers had to be my favorite part of this whole trip. Since it was the end of Summer, their glory could only be seen in the immense moraines that were deposited on their gravity induced trip down the mountain. 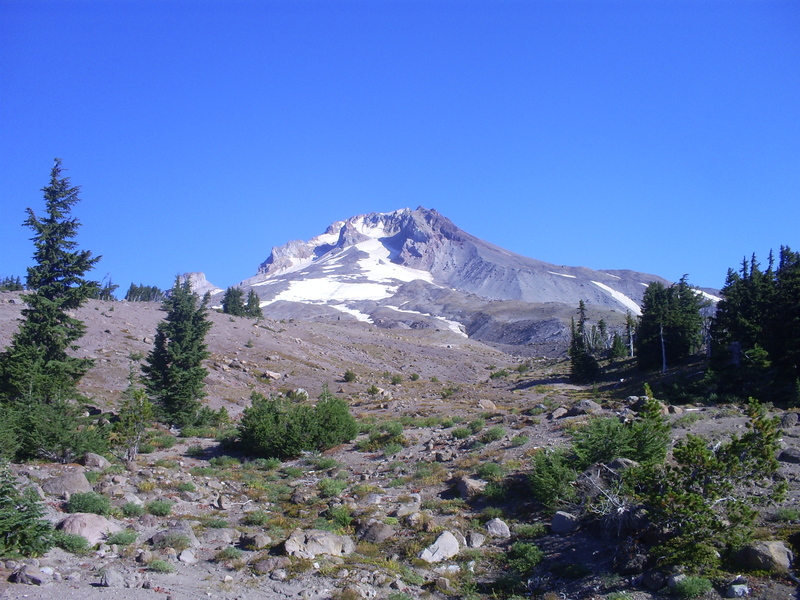 Come Winter, I may plan a trip back to Timberline to see the glaciers in their snow-bloated glory. After we hiked to about 8100 ft, some fellow students and I decided the quickest way back was to walk (or in some cases, slide) down the glacier. Was it the safest thing to do? Probably not. I’ll admit to having the occasional vision of a wall of snow, ice, and rock come roaring at me. But it was so much fun. There is nothing cooler than to say “I played on a glacier”. As I reread my post and proofread it, I realize that this one sounds a bit romanticized. Was it all fun and games? No. I ran out of water on the way down and got a nice little sunburn on my face, neck and arms. On some areas of the hike, we literally climbed our way up fine silt deposits. The stuff is easy to sink into and isn’t friendly to those trying to go over it. However, those were minor annoyances compared to what I learned and that reaffirmation of my love for geology. Chemists can keep their beakers and physicists their particle colliders. I’ll keep my rock hammer and stick to the great outdoors. I have more pictures from the trip. Once I get the album organized and put the captions in, I’ll add the link to this post.